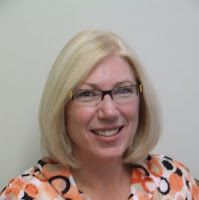 Today's inspiration comes to us from Rutland City Public Schools.Our guest bloggers, Patricia Aigner, Director of Technology. 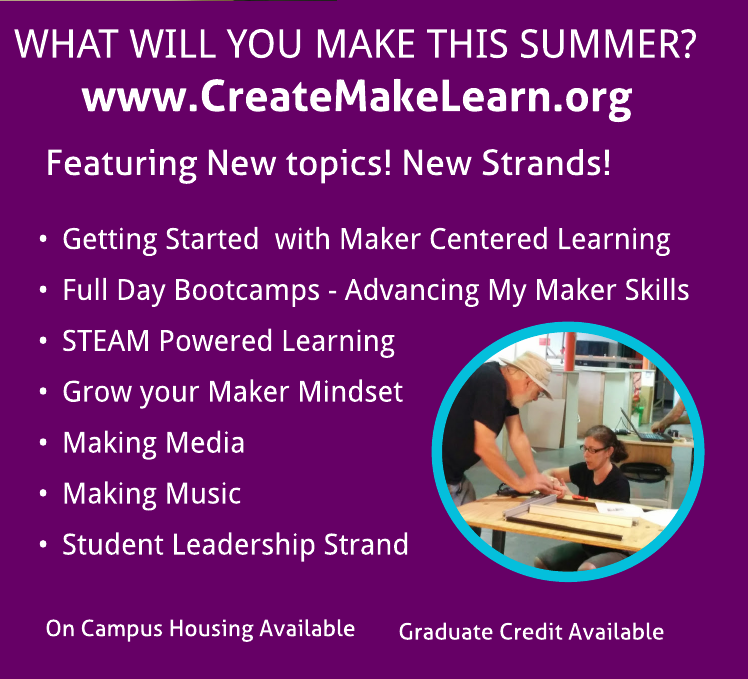 models for us how to create curricular connections and deeper learning experience with one of everyone's favorite maker tools - Makey Makey. Have you ever visited a museum and interacted with a display? It may have been a diorama, wall map or image. You pressed a trigger and the combined music, voices and imagery created a story for you that helped you process the information using all your senses. What started as a challenge from my colleagues has turned into a great project for students and teachers. Lucie de La Bruere had introduced me to the makey-makey and scratch through an online course. 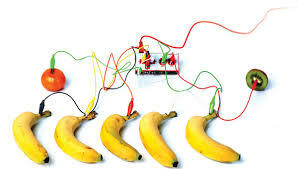 I was immediately excited and stormed the lunchroom for an afternoon with a makey-makey banana piano. I encouraged students to play. All 800 students loved it, but administrators were unimpressed (although it was one of the quietest lunches they had experienced in years). 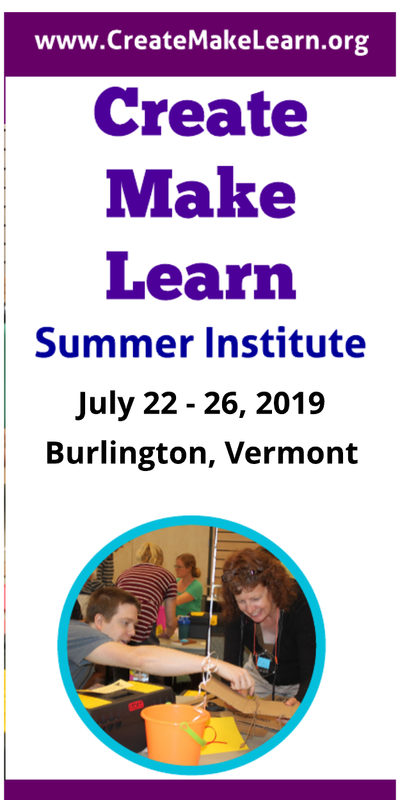 I was informed that until I made a curriculum connection I was wasting our time. I accepted the feedback, started brainstorming and inspiration struck. In scratch I recorded my voice with a short narrative about each of the images and the history behind them. I connected a makey-makey to my chromebook running the scratch project. Then I attached an alligator clip to each of the stenciled areas of my images. Here is a quick product video I made that day using my phone. I presented the idea to our social studies department. Two RMS teachers decided it was a good fit for their Renaissance Unit. Each middle school student conducted research and created an interactive poster about an important Renaissance figure. Suddenly the room was filled with an “art gallery” of important figures from that time period. Each poster had text, images and student narrative courtesy of scratch and a makey-makey. You can learn more about the experience when RMS teachers present the project at Dynamic Landscapes 2017. This was good, but I was scouting for something that did not need a chromebook! I had played around with a SparkFun MP3 Player Shield and had success. That was the inspiration for my next project. I wanted to create a beautiful project that could stand alone and was easily reproduced by students. I was inspired by images from a series by American’s for the Arts and contacted them for permission to reproduce. 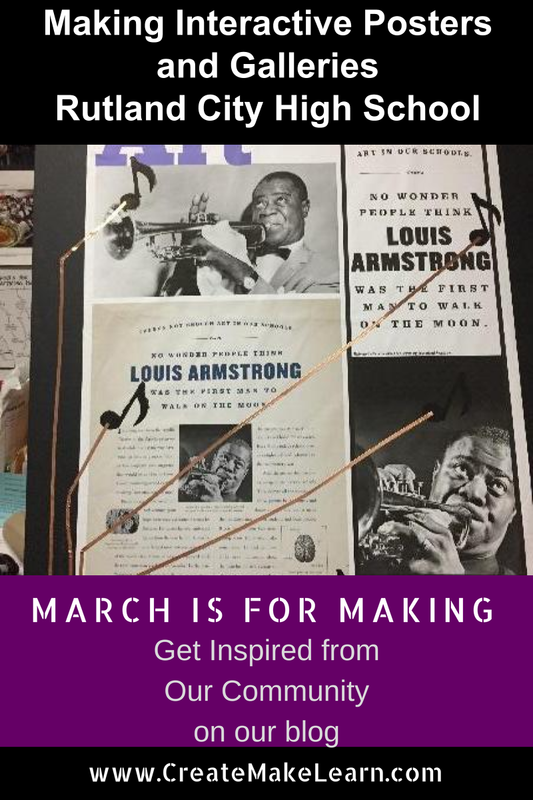 I then designed a graphic about Louis Armstrong using the images and Microsoft Publisher. To get the poster scale I wanted, I printed it on our large plotter printer in color. 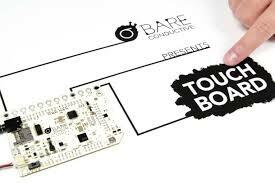 In the image below, each of the conductive paint notes triggered a different electrode and played a sound. I started with a small speaker, but quickly realized that I needed something more powerful. A battery is wired to the back. Here is my first attempt. The demo poster was well-received. RHS students are currently creating an interactive stand-alone poster for the upcoming Global Issues Network Conference. 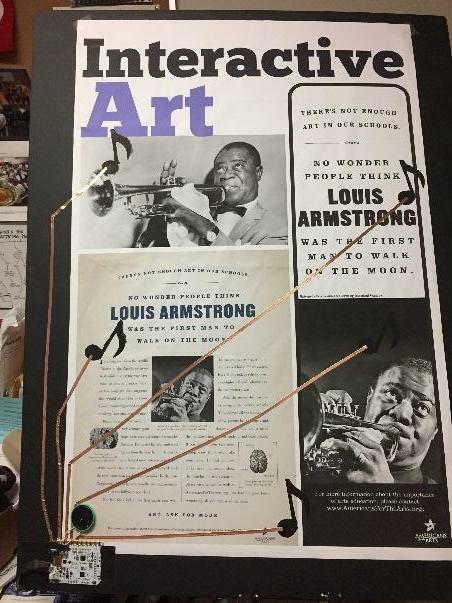 We recycled the Interactive Art poster shown above in order to create something new. And that is the best part of these projects. 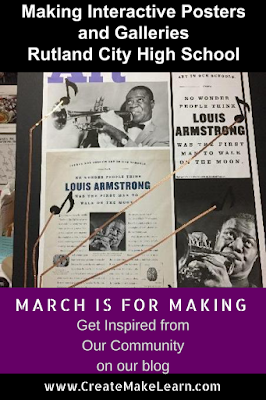 The bits and pieces can be used year after year to create new and inspiring ways to communicate through a mash-up of technology, paper and electronics.